Battle the Fources of Evil with Mikaela by Your Side! LoA: Battle the Fources of Evil with Mikaela by Your Side! Mikaela is one of the strongest Angels there is. She was once a seraph who was promoted to the rank of angel due to her outstanding military exploits. Her experience on the battlefield has molded her into a fierce and powerful warrior who has great hatred for the forces of evil. Even the strongest of enemies tremble at the sight of her. 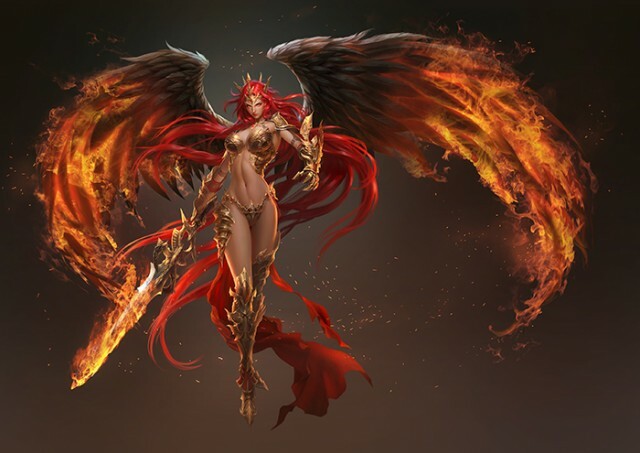 After defeating the flame giant, Surt, Frey gave her a powerful sword which she wields as she leads the armies of light against those of darkness. Her attacks light up the skies and turn enemies to dust. Found in: Football World Cup Betting.